If in the golden age of the movies, back in the 1930s, 40s and 50s, the folks in Hollywood had been asked to vote for who was the most likeable person in town, Walter Pidgeon almost certainly would have topped the list. Walter Davis Pidgeon, or Pidge as his friends liked to call him, was a handsome man, in the 1940s sense of being handsome — clean-shaven, well-groomed, not a hair out of place. He was also said to be the best-dressed man in Hollywood, a passion he carried almost to the point of obsession. For example, when a drycleaner returned a pair of trousers that had not been creased to his satisfaction, he bought a professional pressing table and for the rest of his life he or his wife did his trousers at home. He was even concerned with the manner in which others dressed. If a reporter was coming to interview him, he would observe him from an upstairs window of his Bel Air mansion. If the visitor was careless in appearance and slovenly dressed, something many reporters were guilty of, Pidgeon would send someone to tell the hapless visitor that he wasn’t available for the interview. On the other hand, if the reporter met his approval, he would not only get the interview but very likely be invited to stay for dinner. 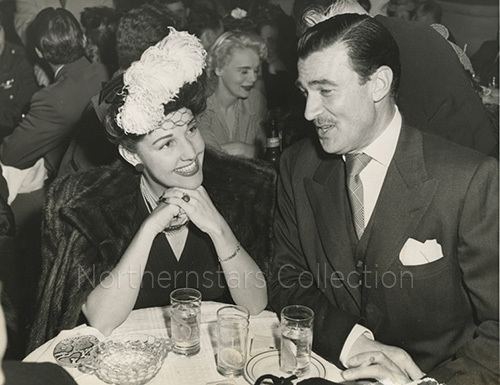 This photo of Walter Pidgeon with Toni Lanier was scanned from an original in the Northernstars Collection. 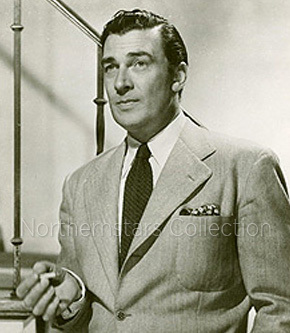 The caption on the back of this photo in the Northernstars Collection, which confirms his personal dress code says, in part, “Heartbreak of the American gals, Walter Pidgeon turned up stag at Mocambo’s last Saturday night.” The woman at Pidgeon’s table is the actress and dancer Toni Lanier. His interest in sartorial correctness, one can guess, came from his father, Caleb Burpee Pidgeon, who had a haberdashery n the corner of Main and Bridge Streets in Saint John, New Brunswick. Young Walter worked weekends in the family store before entering the University of New Brunswick to study law. However, World War One put a quick end to that when he, like so many other teenagers, volunteered for service. He was assigned to the 65th Battery, Royal Canadian Artillery, but never saw action. He was critically injured when pinned between two converging gun carriages and spent 16 months in a military hospital. When he was finally discharged from both the hospital and the army he headed for Boston and the Boston Conservatory of Music. He had a fine baritone voice and was determined to make something of it. There he met and in 1919 married his first wife, Edna Muriel Pickles, who was also hoping to have a career as a singer. It was a tough time financially, with the two of them going to school during the day and working at jobs in the evening, Walter in the mail room of a stock brokerage, Muriel as a clerk in a department store. His first professional role after graduation was that of Sergeant Bruce in a travelling company of Rudolph Friml’s hokey operetta about the Royal Canadian Mounted Police, Rose Marie. He loved the role and to promote it would even parade about the streets of every town they appeared in, dressed in his scarlet tunic. He even made up his mind at one time to leave show business and actually become a Mountie. That infatuation ended when the force had a good look at his military medical record and his application was rejected. Ironically, it was a future movie great who was yet to be discovered himself, who discovered Walter Pidgeon. Fred Astaire heard him sing at a party and recommend him to Elsie Janis, one of the great stars of the theatre in the years between the wars. She was looking for a leading man for her new show Puzzles of 1925 and found him in Pidgeon. Elsie Janis not only starred in her own stage productions but produced, wrote and even composed the music. She paid Pidgeon just $100 a week, a niggardly amount for fulfilling the role of a leading man in a Broadway production, even in those long-ago days. She paid Muriel $20 a week to be her understudy. 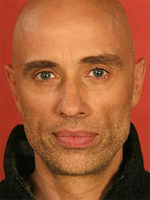 Nevertheless, the show put Pidgeon’s talents on display and other New York producers took notice; so did the studio heads in Hollywood. When the show ended Walter and Muriel headed for Los Angeles. They didn’t know anyone there and had no offers, no contacts, but they felt there would never be a better opportunity to try their luck. By the time their train got to Chicago, however, they were having serious second thoughts. It was beginning to look like a risky move and they decided to return to New York. They were forced to change their minds again when they were told the stopover in Chicago was too short to retrieve their trunks and suitcases from the baggage car. So it was Hollywood or bust. 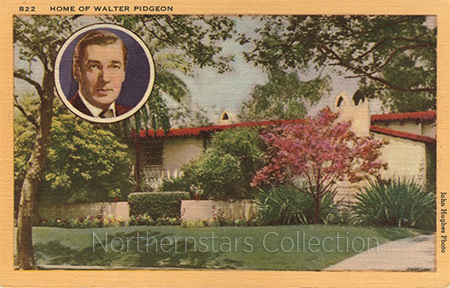 This postcard showing Walter Pidgeon’s first Hollywood home was scanned from an original in the Northernstars Collection. Things on the West Coast began encouragingly enough then tragedy struck. His wife died giving birth to their daughter, also named Edna, and she never got to enjoy the remarkable success the future would bring to the Pidgeon name. This image was scanned from an original in the Northernstars Collection. Yes, Walter Pidgeon could and did act and proved it in more than 100 movies, some of which are among the great classics of the cinema: Saratoga, How Green Was My Valley (pictured above with a young Roddy McDowall), Mrs. Miniver, Madame Currie, The Girl of the Golden West, Mrs Parkington, Funny Girl, Voyage to the Bottom of the Sea and Advise and Consent. 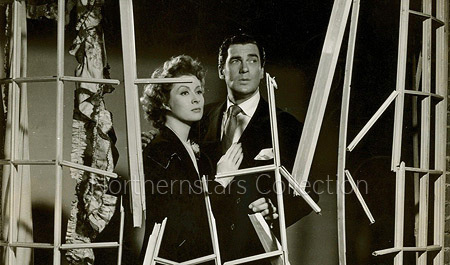 This still from the film Mrs. Miniver was scanned from an original in the Northernstars Collection. but later in life the Screen Actors Guild gave him a lifetime achievement award, not just for his many films but also for his 33 years as an executive of the Guild. Pidgeon never forgot his native country or his home town. He visited Saint John almost every year until old age caught up with him. When World War Two came along and Canada got into the fight before the United States did, Louis B. Mayer gave him time off from MGM to head up a war bond drive north of the border. He raised some $5 million for the cause. On screen he was a man on-the-run from Hitler’s minion’s in the 20th Century Fox production of Fritz Lang’s Man Hunt (1941). Long after the war, on one of his many trips north, he would star in Big Red for Walt Disney in 1962. Thanks to his appearance in too many forgettable MGM musicals, his singing ability is long forgotten. Although when given the chance he liked to remind reporters in his later years that he did make six recordings back in the days of 78 rpm and each sold 50,000 copies or more. Was he perfect, a man without blemish? Some would say no and call attention to his attempts as President of the Screen Actors Guild to stop production of a film that was being made by people who had been blacklisted by Hollywood during those fear-filled angry years of Senator Joseph McCarthy and the House Un-American Activities Committee. There are others who would disagree and think him brave for what he did. Despite being a man about town, he did remarry — to his secretary Ruth Walker. They were together for 53 years right up until the day Pidgeon died. He had suffered a number of strokes when he died in Santa Monica two days after his 87th birthday, and that was too soon for him. “I would have liked to live forever. Life has been so good to me.” Those were his last words. 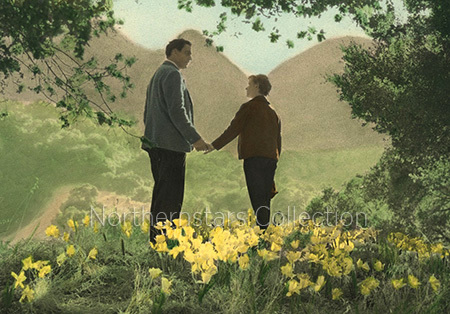 All of the images in this biography were scanned from originals in the Northernstars Collection. This biography is Copyright © 2013 by Jerry Lawton and may not be reproduced without prior written consent. For more information about copyright, click here. 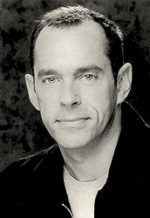 Jerry Lawton, a journalist, TV producer, director and writer who in a career that lasted 50 years received more than 40 national and international awards for excellence.